The Alien vs. Predator franchise is one of the most well-known sci-fi franchises. It all started when you could see a Xenomorph skull in the trophy display in Predator 2. Now the full series composes of 12 movies, dozens of games and hundreds of comics and books. Alien vs. Predator Central offers fun perspectives on the franchise, looking for common themes and some of the ridiculous craziness from the Expanded Universe. Look for top 10 lists, videos, and explanations into the Alien lore and Predator lore. The human Predators were resourceful people who donned Yautja armor and weapons. Some of them even received great respect from the Predators and become blooded. Here is a list of notable human Predators from comic books, games and movies of the franchise. The trophy room is the pride of the Predators. There they display the trophies from their most powerful enemies as reminders of successful hunts. Here is a compilation of different Predator trophy rooms and walls from the movies, games and comic books. The Yautja come in different shapes and sizes. While female Predators are known to be bigger, some others mutated themselves or spliced their DNA to get huge. Here is a list of top 10 physically biggest Yautja from the Predator series. The bio-masks provide the Predators with protection and different vision modes. Dozens of different masks have been seen in the various Predator media. Here is a top 10 list of the best designed Predator masks from the movies, games and comic books. The USCM packs a big arsenal of weapons including nukes, knives, sharp sticks and phased plasma pulse rifles. 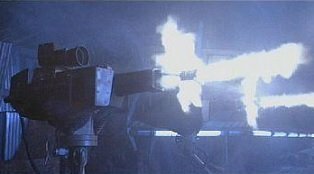 Here is a list of best infantry weapons from Aliens and the Alien games, ranked by their firepower and usability against the Xenomorphs and Yautja opponents. Here is a list of the top 6 Predator movies ranked in descending order, including The Predator and the Alien vs. Predator movies. Although this is just a top 6 list, we can hope that one day a top 10 can be made with new worthy sequels to both Predator and Alien vs. Predator series. The Predators have been using different types of creatures to track and weaken their prey during the hunt. In the movies and comics, the Predators have used Yautja dogs, hell hounds and even a special breed of Xenomorphs to help them hunt. Here is an overview of these creatures. The Predators are known for their various vision modes that serve different purposes and work in different environments. The vision modes are provided by their bio-masks. Here is an overview of all the different vision modes from the Predator and Alien vs. Predator movies. The Predator Killer mech suit in The Predator was not the first instance of weaponized mech suits being used in the Alien vs. Predator universe. We take a look at several different mech suits and power armor from the movies, games and comics and rank them by their awesomeness. The Alien comics are known for their great artwork and classic storylines showing us things never seen in the Alien movies before. They have explored the Xenomorph homeworld, the Alien invasion of Earth and several new types of Aliens. Here is a top 10 list of the best ones in descending order, including many old classics. Here is the Predator timeline consisting of the events of Predator, Predator 2, Predators, Alien vs Predator, Aliens vs Predator: Requiem and The Predator. This is a simple timeline, mostly taking into account the most important events from the movie or events referenced in the Predator movies. Yautja Prime is the mysterious Predator Homeworld which has been shown little in the movies and comic books. Here is a list of all notable references to the Yautja Prime, including it's appearance in Aliens vs. Predator: Requiem and the the Predator: Homeworld comic. Here is a Predator spaceship overview from the Predator movies, games and comics. The Predators are known to use various types of ships with different design and capabilities. The Expanded Universe and it's crossover comics contain some rather ridiculous ship designs to enjoy. Here is a list of the top 10 Predator weapons from the Predator movies and games. The Predators are known for their awesome and terrifying arsenal. We try to rank them by firepower and usefulness in different situations, against both human and Alien opponents. Here is a list of top 10 Alien Queens from the Alien vs. Predator series who stood out from other hive mothers by causing the most mayhem. Included are the Queen Mother, Matriarch, Empress and other badass Queen Aliens from the movies, games and comics. Here is an overview of all Predator types from the Predator movies, including the classic, elder, young blood, elite and the newly introduced hybrid Predator types. As a bonus, I include some famous Predator types from the comic books. Here is an Alien movie timeline consisting of the events of Alien, Aliens, Alien 3, Alien: Resurrection, Alien vs Predator, Aliens vs Predator: Requiem, Prometheus and Alien: Covenant. The games, books and graphic novel events are not included in the timeline. The Xenomorph King is a special type of Alien rarely seen in the Alien lore. It is known to be bigger than the queen Alien and even more agressive. Here is a list of all notable Xenomorph Kings like the Rogue Xenomorph, the Hybrid King and the Kenner King Alien. 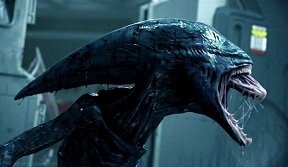 The female Xenomorph is the big and insect-like queen Alien. However, there are some female Xenomorph hybrids or special experiments who actually have feminine features. Here is a list of all known female Xenomorphs from the Alien franchise, including unused concepts from the movies. Here is an overview of all Xenomorph types from the Alien movies, including the facehugger, chestburster, warrior and queen Xenomorphs. As a bonus, some better-known Xenomorph types are also included from the games. The female Yautja are fearsome warriors just like their male brethren. Little is known about them and there are only a few notable specimens that are featured in the books and graphic novels. Here is a list of all notable female Yautja, like Big Mama, Sister Midnight and Vagouti. 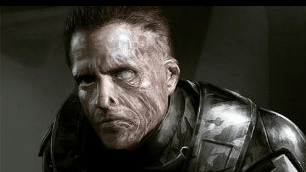 Continuing with the series of top 10 badasses, here we have a list of top 10 badass Colonial Marines from the Alien vs Predator series. They are the grunts who showed courage, killed a lot of enemies and possibly even came out alive in the end. 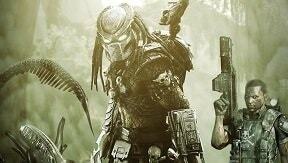 Here we have a list of top 10 badass Predators who stood out from their hunter brothers. These are Predators who had a lot of kills, slayed tough enemies and some of them even survived their missions. The Predators are taken from the movies, games and comic books. Here we have a list of top 10 badass Aliens from the Alien vs Predator series. Included are Aliens from the movies, games and graphic novels. They are the "regular troopers" who stood out from their hive members. People were rather angry after they killed Newt and Hicks in Alien 3. Here are 5 different scenarios where one or both survived, some developed even after Alien 3 was released. The M41A Pulse Rifle is probably the most iconic human weapon in the Alien series. We take a look at some of the Pulse Rifle variants that have been used in the movies, games and books. I am quite sure Ridley never saw Alien vs Predator, but one of the scriptwriters for Prometheus might have. Here are the main similarities that I found between the 2 movies. The Aliens have invaded Earth several times during its history in the Alien vs Predator franchise. Here are listed 5 Earth invasions. The list is sorted chronologically and some of these events have been deemed non-canon. Aliens vs Predator: Requiem (also known as Alien vs Predator 2) left the door open for a sequel. We look at some of the rumors and speculation around the third Alien vs Predator movie. The Alien vs Predator series has its fair share of mad scientists. Here are listed the top 10 best ones. The entrees are ranked by an elaborate algorithm based on their level of madness, charisma, the impact of their research and the quality of the source material. All 8 Alien movies ranked from worst to best. The list is including the Alien vs Predator and Prometheus movies. I also take a brief look at the special editions where they are available. The Alien and Alien vs. Predator series has spawned a lot of games during its time. A lot of them are actually pretty good compared to other franchises. Let's take a look which are the best ones. Top 10 Alien books ranked in ascending order. The list contains only items that are considered "in-universe". Any "Making of Books" like Giger's Alien are not included. Graphic novels are also excluded and will appear in an upcoming list.